This is entirely dependent on your weight and what type of boxing you intend to do. If you are at a loss with regard to what size is appropriate for your weight, consult this boxing gloves guide. There are MMA and other contact sports stores all over the world, though it might be an idea to shop at a store that specializes in your preferred style of fighting. For example, a general sporting goods store might not be the best place to buy Muay Thai gloves. Websites like Amazon.com and manufacturer websites allow you to purchase name-brand gloves without having to seek out local stores. It’s critical that you assess what type of boxing you intend to do before picking a type of glove. After you’ve settled on a type of glove, you’ll want to compare leading brands for their positive traits such as comfort, safety and durability. Once you’ve worked out your budget and decided what traits are more important to you, then you can begin your search. 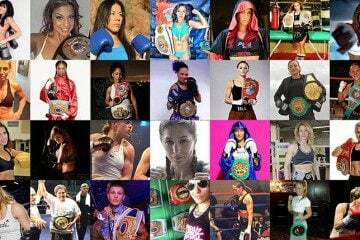 Try brands like Fairtex, Hayabusa and Cleto Reyes for starters. Every boxing glove has its place, and there are many good brands choices including Cleto Reyes, Fairtex and Rival. But if you want to get an idea of what a perfectly crafted boxing glove looks like, take a look at a pair from Winning. Typically if your weight is 150lb – 180lb you’ll want to wear 14-16 oz gloves. For more info check boxing gloves size chart here. With boxing gloves, you get what you pay for. Sure, there are pairs of gloves available for as cheap as $20, but they will not perform when compared to a pair of Hayabusa or Winning gloves. As a first time boxer, a budget friendly estimation would be that your first pair will cost you about $40, but you might eventually graduate to higher quality gloves that can cost $100 or more. Beginners are probably not ready to drop $100 or more on a pair of gloves, so a good rule of thumb would be to look for any gloves that are priced from $40-$80. Gloves in that price range will give you the quality you need to get started boxing without breaking the bank. The company “Title” makes an excellent pair of heavy bag gloves that are perfect for anyone who wants nothing less than the best in the way of bag gloves. If you’re looking for something entry-level, make sure that the gloves are described as heavy bag gloves in their specifications, since bag gloves are built differently than sparring gloves. Youth boxing gloves are generally lighter so often times you will see boxing gloves that weigh around 10oz advertised as youth boxing gloves. Everything from materials to the type of padding can differ, and they’re all dependent on the aspects of each sport. For example, Muay Thai gloves have room for clinching and grappling due to the nature of that martial art. Since MMA is also grapple oriented, their gloves are of a similar construction. Boxing gloves make no apparent accommodation for grappling and are merely designed to cushion blows and provide wrist support. If you’re confused about what to buy for your training pair, this simple top 10 boxing gloves list should put you on the right track. All you need to worry about is whether or not the glove has a snug fit, how much shock the padding protects your hands from and how the glove performs after extended use. Reading boxing gloves reviews online can be quite helpful. This question demands a bit more detail, since the preferred style of glove differs from person to person. Sparring gloves are usually lighter than their bag glove counterparts, so as to more efficiently simulate the light weight of competition grade gloves. The most important factor here is wrist support and safety, since the decreased padding might increase the likelihood of an injury. This is especially important if you are considering “Mexican style” gloves like the Cleto Reyes gloves, since that style features decreased padding. There is a variety of ways to clean boxing gloves, with some being more accepted than others. The most common method used is called the “Freezer method”, where the gloves are put into plastic bags and left in the freezer overnight. Another good idea is to occasionally spray your gloves with antibacterial spray. You can find all boxing gloves cleaning methods here. Absolutely not! You should never, under any circumstances put your boxing gloves in the washing machine. They were be severely damaged or destroyed by the end. One of the main ways to preserve your boxing gloves and protect them from damage is to store them in a cool dry place. Wet and warm places are environments that encourage growth of bacteria that can either damage or destroy your gloves. When putting your boxing gloves away, consider stuffing them with something like crumpled newspaper to avoid the buildup of moisture. You could also purchase a pair of “Glove dogs”, which are special inserts designed to absorb moisture from the inside of your gloves. This is where the importance of glove design and materials comes into play. Depending on the quality of your glove, it will be made of synthetic material, false leather or real leather. There’s a considerable selection of synthetic materials, with some being of better build than others, so generally boxers feel more comfortable with real leather. This question is both easy and difficult to answer. The simple answer is to just use them until they break in, though some gloves are reportedly very difficult to break in and require special circumstances. In any regular case, simply using the gloves regularly will break them in. Mike Tyson used what are known as “old school” heavyweight Everlast gloves. The gloves were reported to weigh around 8oz. Floyd Mayweather uses top level gear by choosing Winning brand boxing gloves as his gear of choice. Manny Pacquaio wears the famous Cleto Reyes “Mexican style” gloves. Considered by some to be an acquire taste, these gloves provide a unique experience to boxers that some find fantastic while others simply can’t enjoy it or make it work. The boxing glove was invented in 1743 by a man named Jack Broughton. While early prototypes of boxing gloves are likely littered throughout history, this man set the standard. The process of putting on wraps is quite easy. All you do is run the loop at the end of the wrap down your thumb and wrap across your wrist, palm, and then diagonally across starting from your wrist and ending at your palm. You’ll also run the wrap through your fingers a few times before you’re finished. It’s easy to lose track of what you’re doing when wrapping your hands, so beginners are advised to seek out an instructor or watch this tutorial video before wrapping on their own.